Most men enter adulthood with careers in mind. 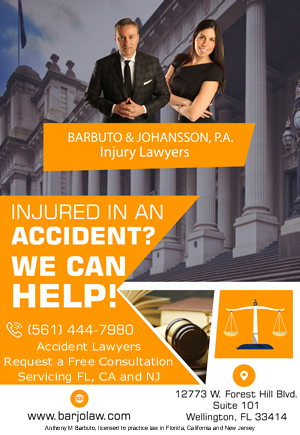 We later assume financial responsibility, and before we know it, our work becomes our priority. This is how it is for me, and I am fortunate to have a wife who fosters domestic tranquility, allowing me to focus on my professional endeavors in a drama-free environment. However, less than two years ago, the tranquility I had known was called into question by the birth of my son. For me, running a busy law firm and a blog requires time. As a father, however, my time is what my son requires. Since both my work and my son are now my priorities, it’s difficult to reconcile the two competing forces, both requiring my time, and a lot of it. It’s now literally impossible for me to work at home anymore so long as my son is awake (which is most of the time), and when I have to leave my home to work, I feel guilty. It’s a strange feeling, and one that I think most fathers can relate, especially fathers who travel often. 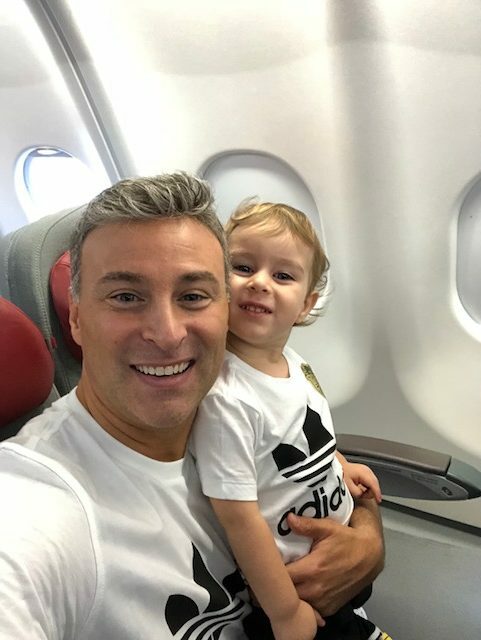 Me and Leo having fun in the airplane, wearing our matching Adidas outfits. 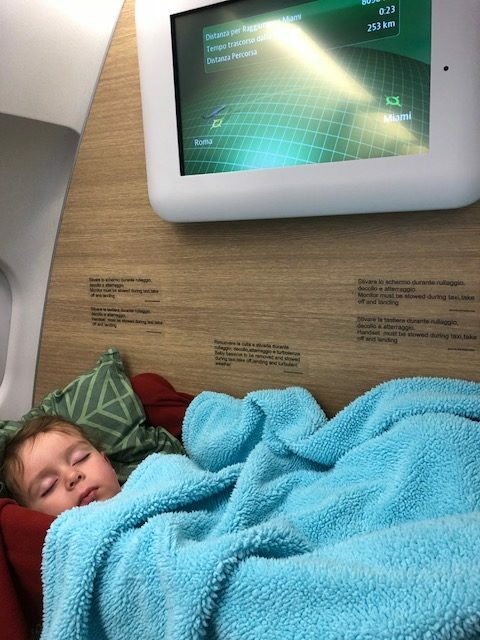 Leo sleeping in the bassinet that Alitalia provides for children under 2 years old. 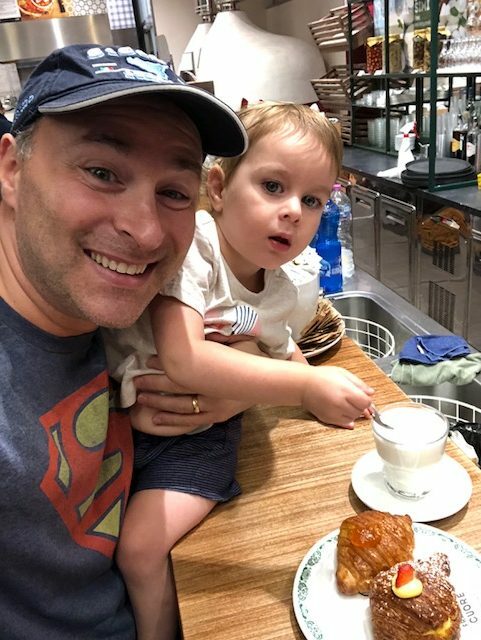 Last month I went to Florence, Italy for a week to handle some business and personal issues, and instead of flying alone and being without my 21-month-old son, I decided to take him with me – a decision that was met with criticism by many. For one, my wife has always handled most of the child rearing, dealing with diapers, naps, baths, etc. In fact, up to the time of departure, I had never been alone with my son for over a couple hours without my wife or another family member taking the lead. In addition to my alleged inexperience, a plethora of other criticisms were thrown at me, such as: “taking a toddler to Italy for only one week and putting him through jet lag is child abuse” or “an international flight is no place for a baby,” or “traveling these days is dangerous,” or “subjecting your son to airplane and foreign germs is a disgrace,” or “he is too young to remember anything so it is a waste of time.” Frankly, I disagree with all of that. 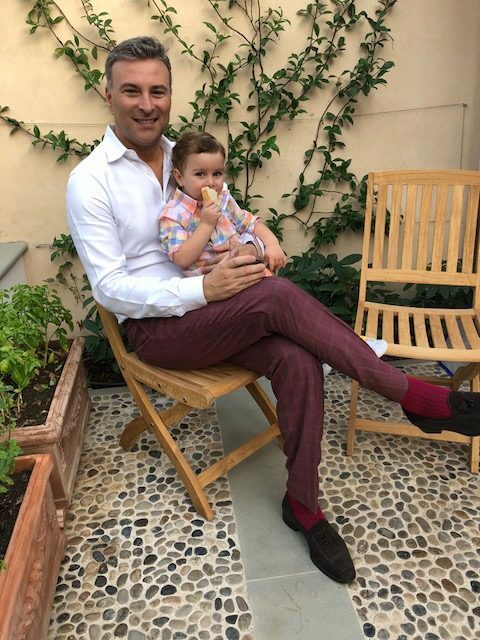 Taking my son to Italy alone was one of the most rewarding experiences of my life, not only for me, but also for Leonardo. The trip was a success. It was Leonardo’s fifth time to Florence, but his first with only me. 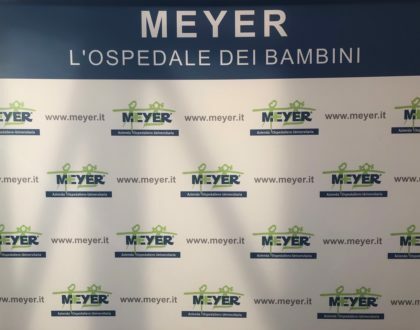 My son knows his Italian home, he knows his grandma’s home, he knows the street where he lives. He knows the Florentine barista who always gives him a cookie, and he practices his Italian language skills daily with the locals (Leonardo knows about 75 Italian vocabulary words). Leonardo loves the vibrations caused by the cobble stone streets as he is pushed in his stroller. He loves the street music, the gelato and the magnificent architecture. 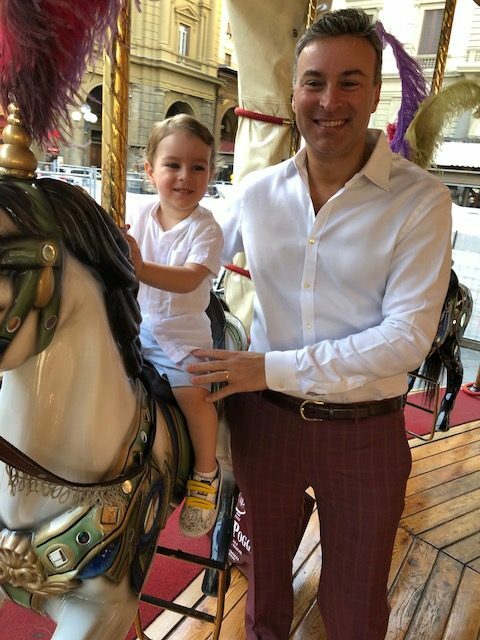 His sense of location is astute for a toddler, always remembering where the merry-go-round is in Piazza della Repubblica, or the famous toy store on Via Camillo Cavour. Most of all, my son loves being with me, wherever we are, and I love being with him just the same. It’s not true that toddlers can’t remember experiences. 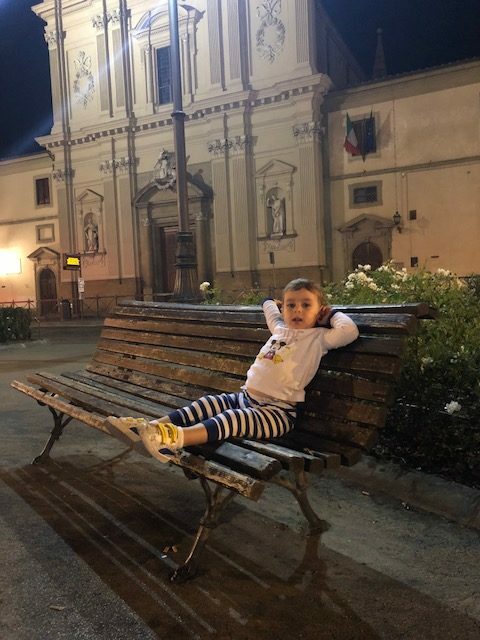 My son remembers a lot about Italy, and he is comfortable there. 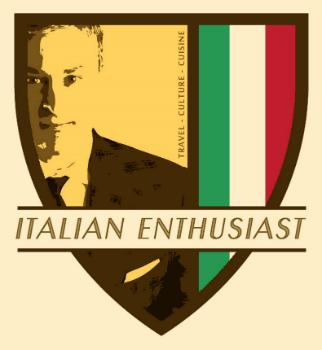 As an Italian Enthusiast, giving my son the gift of Italy has always been my goal, as has giving him the gift of time. Leonardo loves brushing his teeth with his dad, especially when using Marvis Italian toothpaste. There are so many benefits in a father taking his toddler to foreign places alone. Even though most fathers must make work their priority, fathers quickly learn to adjust and make time for the miracle that has entered their lives. I recommend every father to go away with his child, without mom, and I can promise that the more challenges you experience during the journey (jet lag, flight cancellations, poor weather, work constraints, etc. ), the more rewarding the trip will be. Overcoming obstacles with your toddler, while simultaneously being forced to actually parent (diapers, brushing teeth, naps, carrying, pushing stroller, playing, feeding, etc. ), will demonstrate that a father can indeed be a father and a mother both, and capable of receiving super-dad status. Some evenings Leonardo just likes to hang out in Piazza San Marco and people-watch. Of course my trip had its challenges, but that is expected. 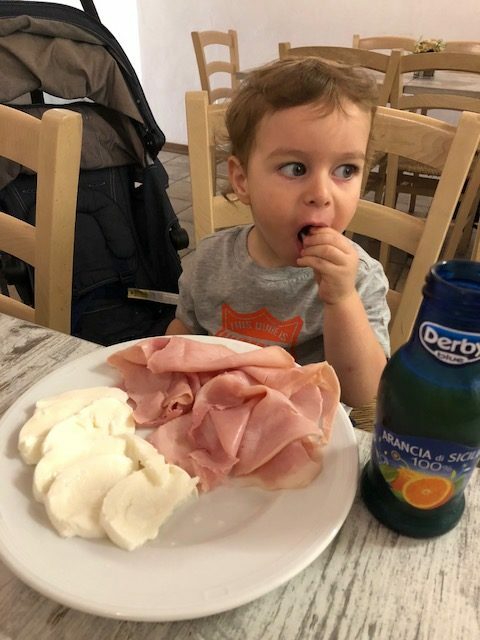 If any fathers are interested in taking a trip to Italy with their toddler alone, I am happy to discuss some lessons I learned along the way, and provide suggestions on places to go and see. I now have a newborn daughter, which creates more challenges with my time outside the office; but she is 6-weeks old now and I imagine when she stops breastfeeding, I will organize a trip to Italy just for me and her. Dads, what do you think? 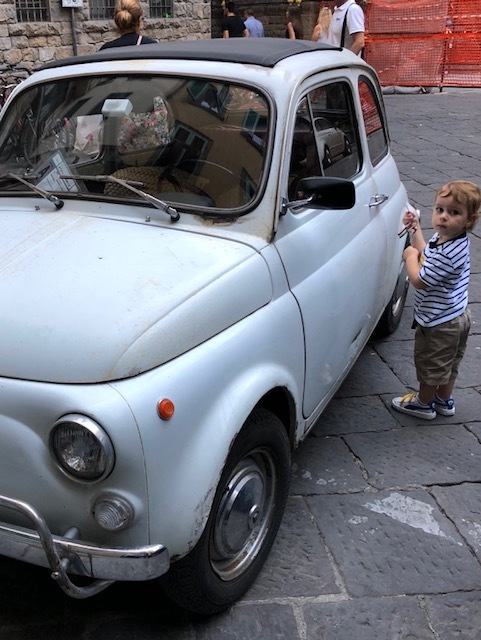 Would you like to take your toddler on vacation alone to Italy? Could you handle it? Moms, what do you think? 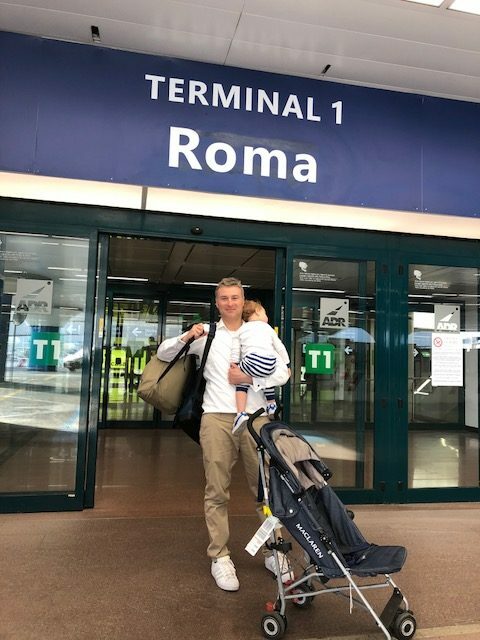 Would you feel comfortable letting your toddler go alone with Dad to Italy? Do you think he can handle it without you? How wonderful for the both of you…I am sure it will be the first of many. I applaud any Dad that undertakes what you did, or any trip alone with a toddler, even if it is not out of the country like yours. I am so glad everything worked out well for you and Leonardo. Ciao and God Bless your adorable little boy! 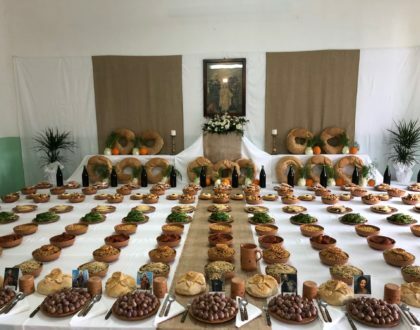 It must have been a wonderful experience! With all those hard moments that come with a small child. But I’m sure the bond between you two will be strong. Good for you, Leo, to have a daddy like yours! I will raise my glass of prosecco to you. Fathers today are the best and fearless as they bond with their children. Love it. Lucky little Leonardo! Bonding with his Poppa and eating authentic la cucina italiana. Our kids aren’t toddlers anymore so we won’t be able to have that experience. My only complaint would be that I would want to go too! Good job dad by the way.!! Great article! Thanks for sharing your experience. I’m trying to persuade my wife to take my 21 month old to Mexico with me and show him where I am from and let him have time to spend with Granpa and other family members but she is extremely attached to him… How did you manage your wife from being ok with your trip?